Business environment is changing today. Success in any business endeavor requires the combined efforts of many skilled individuals and organizations. In order to ensure that we consistently provide extraordinary products and services to our customers and clients, We have aligned strategic relationships with highly respected business specialists. Below are some resources we use and trust. They have been awesome assets to our business and we feel that it is important that we share them with you. As a business owner, you should be building up a powerful team of professional service providers that you can both utilize and recommend to others. Here is a list professionals that we wholeheartedly endorse that you utilize if and when the need for their services makes sense. Aquino Homes Real Estate, LLC. has teamed up with Moseley Real Estate Schools! Moseley’s Community-Centered Education Program (CCEP) allows Aquino Homes Real Estate, LLC. to be the center of real estate education in its local community! Because of Aquino Homes Real Estate, LLC. is a Moseley CCEP Firm, YOU reap the exceptional agent benefits, such as FREE CE and PLE courses! Whether for your commercial property or home, professionally manicured landscaping is one of life’s simple pleasures. Let the professionals at Hogan Landscapes help you fulfill this dream. 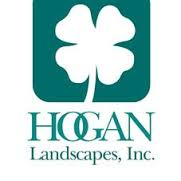 With over 30 years of local experience, Hogan Landscapes knows what your lawn needs to keep it looking professional and welcoming. 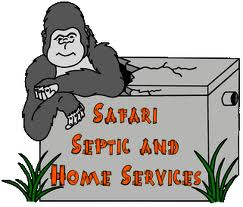 We serve both Orange and Seminole counties so call us today at 407.283.LAWN for a free commercial or residential estimate. copyright 2008 Hogan Landscapes, Inc. All rights reserved.